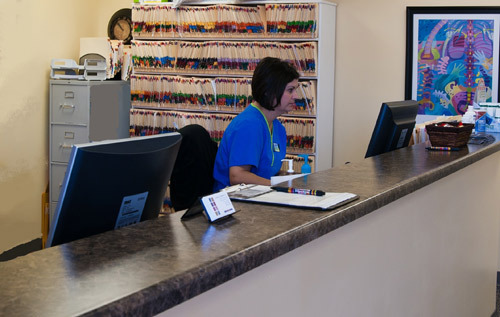 We are conveniently located at 2530 Florence Blvd. 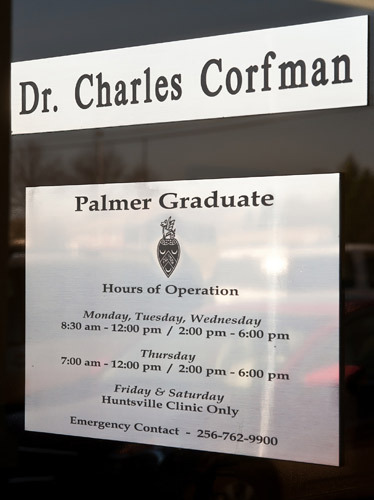 Suite C Florence, AL. 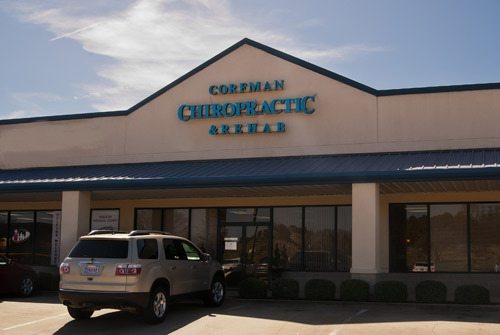 Dr. Charles Corfman is the principle Chiropractor. 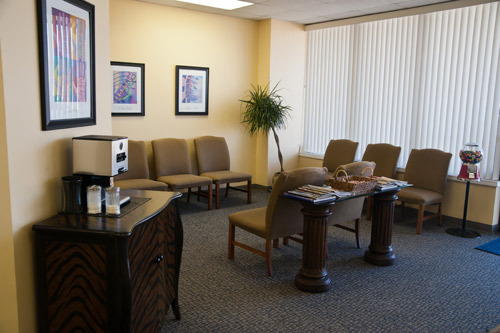 You will be warmly welcomed into our office. 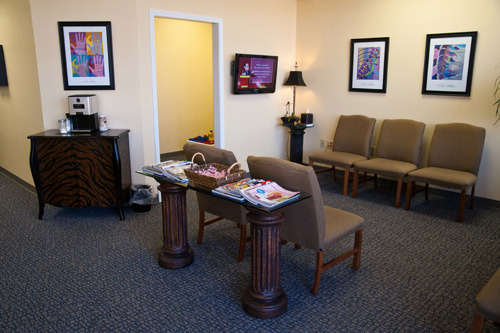 We have created a family friendly office. 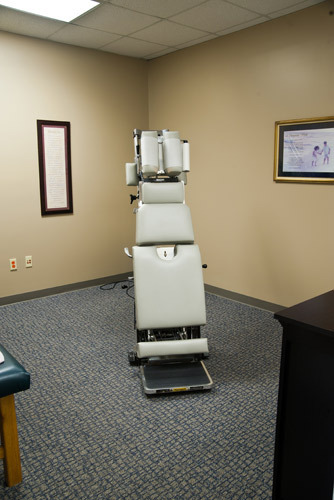 The Pro-Adjuster is a computerized instrument that will analyze and adjust your spine, gently tapping on each vertebra. 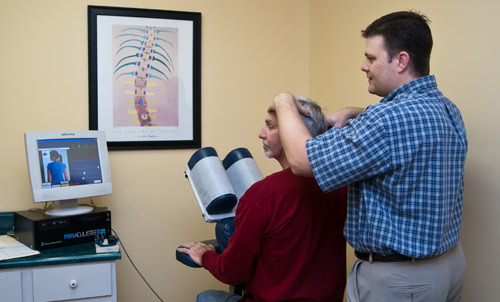 Dr. Corfman uses the Pro-Adjuster on a patient. 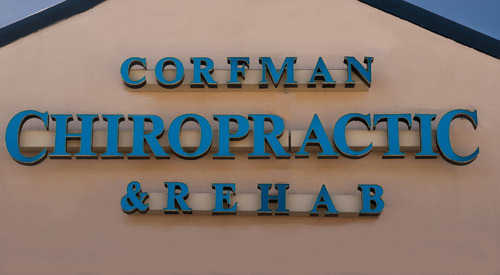 Dr. Corfman will choose the technique that is right for you. 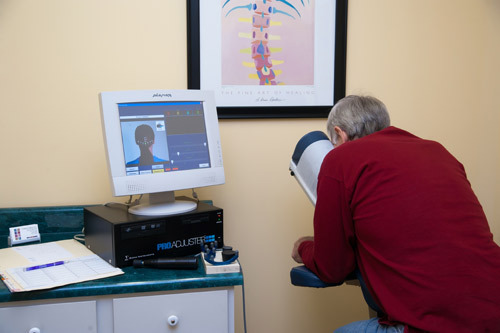 Our tables are designed to make it comfortable to get on and off, even when you are in pain. 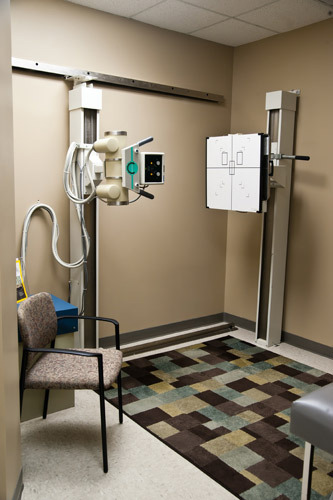 Some patients may require X-rays as part of their initial exam.